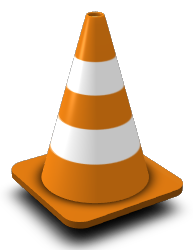 The VideoLAN team have released version 1.0.6 of their VLC player. This version fixes several vulnerabilities which were found during development of the upcoming version 1.1.0.
vlc: updated to 1.0.6. Several security holes were fixed in this release. These packages do inotify-tools libnotify contain MP3/AAC audio encoders (playback of mp3/aac audio works fine); you can get packages with MP3/AAC encoding capability at http://slackware.org.uk/people/alien/restricted_slackbuilds/vlc/ as usual. For playback of encrypted DVDs you’ll additionally need to install libdvdcss. One remark: I found that the midi plugin (based on fluidsynth) does not work in this package because of a library linking error. I will try to get this resolved for Slackware 13.0 in a new build if I find the time (but KDE 4.4.3 is getting near). When I built a VLC package on Slackware-current, I did not have this issue however. Older versions of the VideoLAN player will not get patched. 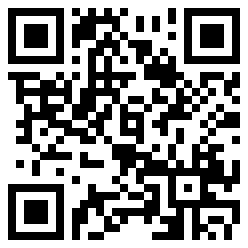 Most notably the version 0.8.x which is still widely used. This version has already been vulnerable for some time, and the new vulnerabilities just get added to a growing list. Upgrading to the newest version will not be an option for everybody. Older releases of Slackware but also of other distro’s simply lack the libraries required by the current version of VLC. Too bad… or finally time to upgrade your Slackware? Posted: 23 April, 2010 in Slackware, Software. I prefer to install Slack-external software from the Slackbuilds, but VLC is a hornet’s nest of dependencies. So in addition to a general thanks for your role in keeping Slackware both easy and dependable, I want to give a specific thanks for the precompiled VLC package. In fact, two: a 32-bit thanks and a 64-bit thanks.